You must have heard about the hassles and troubles which peoples had faced at the time of their relocation and even more terrible stories of moving experiences. Home movers who don’t encounter any difficulty throughout the entire move may be lucky or hired experienced and reliable packers and movers or had a proper knowledge and planned for all type of unexpected situations. If you want to follow their example and want to do a successful relocation then you should have to prepare in advance for an efficient planning. The first and foremost thing consists of a relocation service is packing. But before packing your goods you have to select those goods which you don’t want to move with you. So, before start packing de-clutter your household goods on the prior basis in order to make the further process easy. It becomes difficult as time passes the stuff piles like; drawers, dressers, cupboards and cabinets, start teeming with clothes, footwear, dishes, books, jewelry, hobby materials and various other odd things. Many times storage spaces get occupied with old stuff and dirty strongboxes from which many our memories are attached or there are rarely used objects which you can even at the hiding corners of your rooms, under or above the cupboards. The more time you will spend in a home the more items you have accumulated. Many of time we live unnoticed the clutter we had collected in our home as it will become a part of our life but now we have to declutter it before packing to make your move easy and time-saving by lightening your load. How can you decide which item you have to declutter and what not? As time passes your lifestyle will also change and also as per the environment of your new place your lifestyle will going to change the think deeply and then select the items for packing. Area and style of your new home: The area of your home may not have that much space so you can place everything also the style of your new home also plays a vital role as many of the items will not go with your items. The condition of the item: There are many things in your house which are not usable now like your old hand grinder or microwave which is not usable and also will not go with your interiors of new kitchen or many of other things you are not going to use for many time like sewing machine but why you have to take it along if you are not stitching anything. The sentimental value of goods: Many of things create a memorabilia and we got attached to it but from those special items many of things are there which are not of much use and we should let them go off now. Those sentimental things are lovable no doubt but there is no need of keeping the thing with you, it will not let you forget your memory which is associated with the item. The cost of moving the item: Many of things are with which will cost more for relocation than their actual price so think before moving such items. These parameters let you help to think what is worth or not to take it to your new place. So don’t have to waste money, time and energy on those movables. How to Declutter Your Home for the Move? 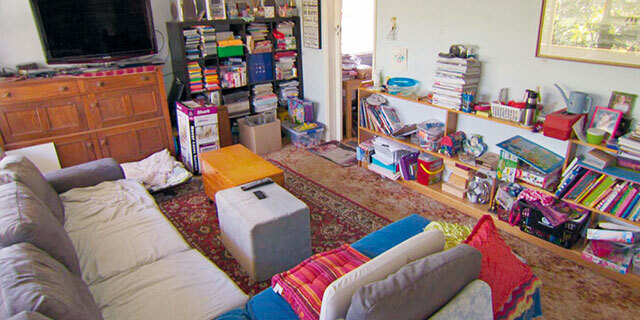 Once you have decided that you want to declutter your house then set the parameters as what to keep or what not? After setting the parameters you should plan the process, think as per the type of the items you want to remove from your items and then plan what you are going to so of those items. Afterwards, think that whether you want to pack them or just give leave them for recycling purpose. Prepare the needy: At the time of Decluttering the home, you should keep some boxes or cartons in which you can place all those goods which you want to declutter from your luggage. Place one box for sale, one for recycling, one box for charity, one box to put items to give away to friends or neighbors and one for trash. Do one thing at a time: Don’t be in hurry do the things one by one, don’t try to declutter a room in a day as it is a mentally and emotionally challenging job if you will try to do it once you will very soon discourage. Only Spend no more than 2 to 4 hours in a day also set clear and small goals to do in a day, so you declutter work will go smooth. Be constant and stay concentrated: Do the things every day don’t let them delayed at all for later; don’t get distracted from your work of decluttering your home before moving. Do daily some task and make it easy for your moving. Take guidance: Call your friends neighbors or anyone close, who will help you to advice to declutter your home and can also help you to declutter and shift your luggage. Substitutes Items: You don’t need to take coffee and tea maker separately just sell it and on other hand buy a two in one coffee and tea maker after you will move into your new place as per the interiors of your kitchen. Belonging that not fit: The clothes, shoes and other accessories items which you are not using because of too big or too small size or the things you only had worn only once in a year, all these kinds of things should go into charity. Broken furniture: Through away that furniture piece which you had repaired a year ago or it remains broken till now in your old house. Expiry items: Select those medicines, cosmetics, food and other items from your home which are expired or going to expire soon and through them, there is no need to shift such things. Stored and Forgotten things: The things which you kept somewhere in the home and forgot now just leave it in another box whether you want it or not. It is much better than you will donate those items to charity or NGOs. By considering these points it will be easy for you to Declutter your home. But more important is that if you will think about all the stuff from your home from mind and heart both and try to get rid of the things which you don’t need now.